The product possess an advanced air-compressing system, damping system and multilevel muffler which is extremely low in noise. The air-output can be adjusted freely. 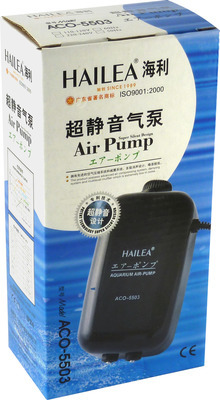 The ACO air pump adopts special artificial rubber to keep a steady air output and pressure that can be adjusted freely. No greasing or lubrication required. Clean or replace air-tube,air-stone or sponge reqularly to obtain maximum pure air outlet.